Shredtown was started in 2009 by three very talented wakeboarders from Texas, featured above. These three indivisuals started posting videos that made every rider in the sport re-think wakeboarding. They are, without-a-doubt, the most creative and innovative wakeboarders in the world and they're pushing the boundaries of what anyone ever thought could be done on a wakeboard. 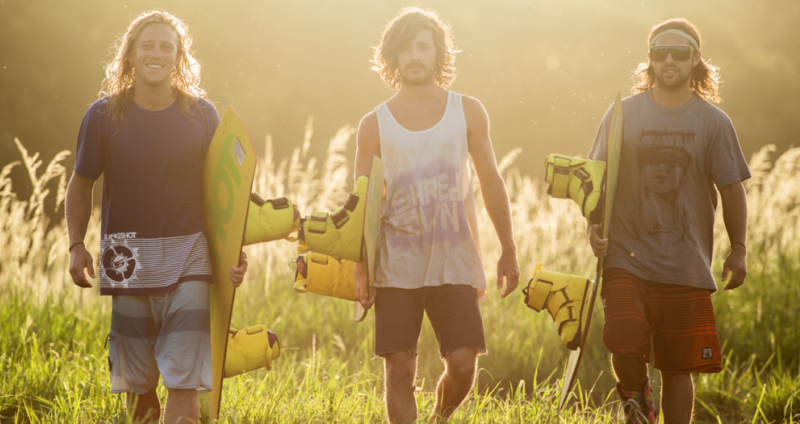 No they're not inventing new tricks or throwing 1080's and you're not going to see them competing in any contests, but they're bringing wakeboarding to places no one has ever thought of going. Whether that means dropping off a 25-foot dam or wall-riding the side of a Penske rental truck, these three have gained the respect of every wakeboarder in the industry. Their talent and creativeitiy is most impressivly shown in their film Drop the Gun which will go down in history as one of the most creative wakeboard films of all time. In 2015 Chris Abadie won the first ever Real Wake video contest as part of The World of X-Games, filmed and edited by Andrew Adams. The video achieved world-wide acclaim and will go down in history as one of the greatest wakeboard web edits of all-time.